"It's a Hill of a good Meal!" At the Grill on the Hill. Serving unique items from our all day breakfast, all day lunch menu. We have fresh cod Friday's, Pasta Sunday's and lots of homemade items. 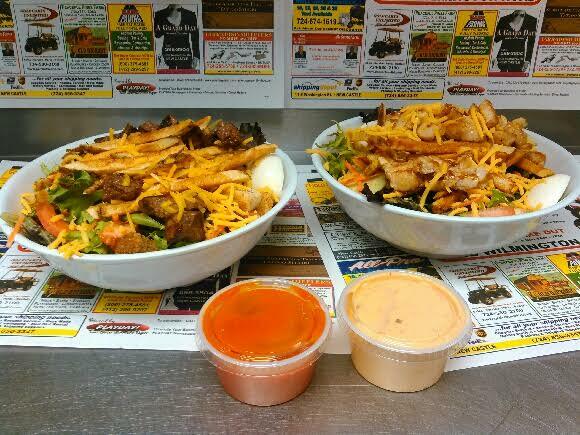 From our salads and fresh cut fries, to pulled pork sandwiches, and 3 egg omelets. We hope you will love this. The grill menu has 15 specialty burgers and counting, hot 9 inch subs and the dinning area is decorated retro style!